With an online storefront as well as her Harbor Springs, Michigan retail store, owner Laura Melges has quite a following of loyal customers. And with such dedication to providing the highest quality goods at amazing price-points, even when monogramed with one of Laura's gorgeous custom designs, it's no wonder this is a go to for memorable, timeless gifts. 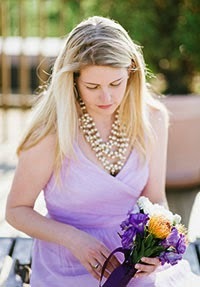 I had a wonderful time chatting with Laura who has a fabulous sense of style and has curated a sensational collection of offerings; beautiful on their own, but better with a little monogram bling. Here's a selection of some of my favorites, but please head over to Monogram Goods for more inspiration! I could have easily ordered one of everything (especially anything with an equestrian style monogram) but I was particularly drawn to her signature zig-zag beaded clutch. Customizable in an array of colors and even with a secondary monogram once opened, these are perfect gifts whether for yourself or for others or to mark special occasions. Laura showed me a version of the clutch created for brides with a customizable heart monogram visible once opened. 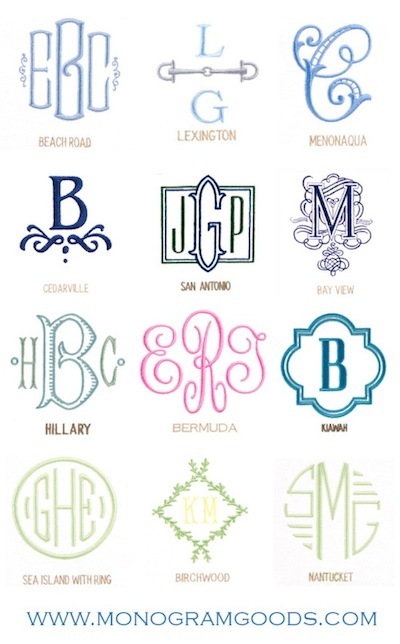 Speaking of monograms, below are a small sampling of custom designs offered. What I love is that every monogram bears the name of the locale that inspired the design. If you happen to be in Naples now or for the next few months, I urge you to visit Monogram Good's pop-up-shop at Garden District. It's truly a feast for the eyes!